Dimmu Borgir, Nile, Helstar, Kristallnacht, Молат (Molat), Septicflesh. Также: Батюшка (Batushka), Stworz, Dark Fury, Gorelord// Wurdulak, Sacrilegium, Shibalba, Xantotol, V/A: Silesian Black Attack. Релизы-2018: Pungent Stench, Nokturnal Mortum. Также: Carcass, Solstafir, Inquisition, Massacre, Drudkh, Haemoth, Nokturnal Mortum, Obliteration, Behemoth, Manowar. 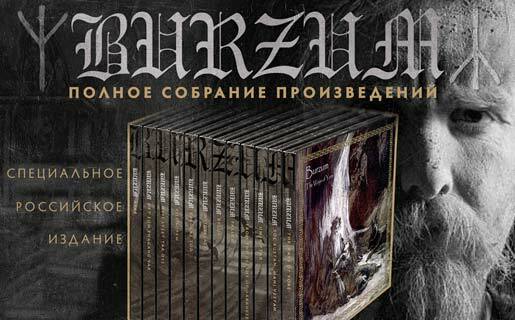 Релизы-2018: Burzum, Hate Eternal, Beyond Creation, Skeletal Remains, Necrophobic, Barren Earth, Vreid. Также: Amon Amarth, Watain, Krabathor, Pungent Stench, Khors, Sólstafir, Bolt Thrower, Triptykon, 1914, Helheim, Grave. Также: Nokturnal Mortum, Udumbal, Pestilence, Hate Forest/ Ildjarn, Children Of Bodom, Baptism, Esqarial. Также: Children Of Bodom, Baptism, Esqarial, Ildjarn, Sepultura, Lost Soul, Celtic Frost, Masachist, Nomad, Mastiphal, Testament, Cult Of Luna & Julie Christmas, Katatonia. Также: Kreator, Slayer, Morbid Angel, Venom, Pungent Stench, Wackhanalija, Ea, Who Dies In Siberian Slush, Doomed, Septic Mind, Armagedda, Urgehal, Asphyx, Scorpions, Non Opus Dei, Bolt Thrower, Samael, Mare Infinitum, Raventale. Релизы-2018: Korpiklaani, Wolfheart, Khragkh, Pungent Stench. Также: Asphyx, Suicidal Angels, Warrel Dane, Septicflesh, AC/DC, Cannibal Corpse, Abbath, Blood, Infestum, Theatre Of Tragedy, Behemoth, Luciferion, Sadist, Inquisition, Sólstafir, Marduk, Aborted, Cattle Decapitation, Perished, Limbonic Art, Enslaved. Релизы-2018: Deicide, Aborted, Watain, Judas Priest, Immortal, Amorphis, Marduk. Также: Morbid Angel, Satyricon, Immolation, Aeon, Besatt, Mayhem, Hate, ‎Artillery, Cattle Decapitation. Также: Nightbringer, Twelfth Of Never, Ensiferum, Anata, Inquisition, Septicflesh, Tsjuder, Esoteric, Elffor, Necrophobic. Также: Dub Buk, Батюшка (Batushka). Релизы-2018: Immortal, Summoning, Memoriam, Massenhinrichtung. Также: Marduk, 1914, Shape Of Despair, Grave, Paradise Lost, Insomnium, Necromantia, Forest, Septicflesh, Vader. Релизы-2017/2018: Watain, Usurpress, Marduk, Acherontas, Voidhanger, Nokturnal Mortum. Также: Hypocrisy, Blaze Of Perdition, The 3rd Attempt, Unleashed, Helloween, Immolation, In Flames, Vomit Remnants, Taake, Ragnarok, Thornspawn‎, Samael, Therion, Grave, In Vain, Tiamat, Vomitory, Valkyrja, Cannibal Corpse, Bathory, Immortal, Marduk, Burzum, Inferno, Judas Iscariot, Deicide, Enslaved, Hades Almighty, Kladovest. Релизы-2018: Acherontas, Amorphis, Forest, Dimmu Borgir, Summoning, Massenhinrichtung. Также: Inquisition, Memoriam, Kreator, Sirenia, Skyforger, Taake, Helheim, Enthroned, Varathron, Belphegor, Incantation, Khragkh, Morbid Angel, Wintersun.